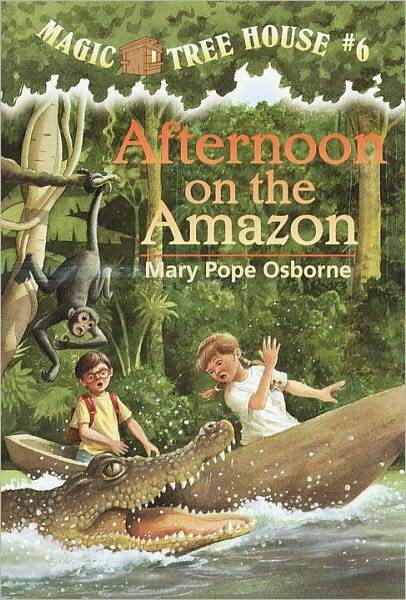 That’s what Jack and Annie are about to run into when the Magic Tree House whisks them away to the Amazon River. It’s not long before they get hopelessly lost. Will they be able to find their way back to the tree house? Or are Jack and Annie stuck forever in the rain forest? Vampire bats, killer ants, humongous crocodiles…wow this is was a great story. I am blown away with each book!